What’s your (little) man got to do with me? Listen, I totally understand that not everyone is in the position (or wants) to bring another child into their family. Not everyone is financially, emotionally or relationally in a place where that makes sense, and I think it’s important to be understand your limits and know your capabilities. But I think everyone is in a position to do SOMETHING to help the forgotten and abandoned children in our world. Some of it’s really easy (and fun! ), some of it’s a little more sacrificial. And if you don’t feel led or moved to get involved in any way, there is no judgment here. Everyone has things that they are passionate about, and called to, and I feel like God has asked me to be a voice for these children. But if you do feel a stirring, don’t ignore it. I think if we ignore the nudging of our conscience for long enough, it can go away. I don’t want to be in that place. We were created for community, to share one another’s burdens and sorrows, as well as our joy and our light. So, to that end, I just wanted to put together a few simple ideas of how everyone (or anyone) can be a part of making a difference for the world’s orphans. I’m not naïve enough to think we are ever going to solve the orphan crisis completely, and even if every single current orphan was adopted into a family today, more would become available tomorrow (not to mention that adoption alone only deals in response, not prevention). But I think there are lots of ways to do something helpful. Doing nothing is never helpful, and ignoring the problem doesn’t make it cease to exist. At the same time, it can be hard to get on handle on what ONE person could possibly do. Hopefully, these ideas give some direction. I’m sure there are a million more out there! I am not even close to being an expert on any of this. If you have any other great ideas, or organizations you support, please feel free to list them in the comments! There are so many little faces out there, it can be overwhelming. So just choose one. Go to Reece’s Rainbow, read through their stories, and choose one. Or any other site, I’m just partial to RR because my boy is there, and I’ve spent years looking at those faces. Anyway, choose ONE. Commit to helping that ONE child find a family. Pray for him/her, advocate for him/her, donate to his/her fund. Make the ONE your goal. You don’t have to be all crazy about it, posting a picture every day and bothering everyone you know. But be committed, little by little, doing what you can, when you can. Choose one, and stay with that babe until he/she goes home. After that, choose another one. It’s like the story about the starfish…it will always matter to that one. This is Roxie! Isn’t she the bees knees? Roxie is 4 years old, and rocks her extra chromosome like a boss. She’s ready for a family she can make smile every day! 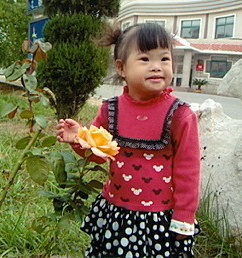 Did you know there are opportunities to host orphans? It’s usually offered a couple of times each year, for a few weeks in the summer or around Christmas. You might not be in a place to adopt, but could you make room for a child for a short time? You’re not just giving them an experience, you are giving them hope. You are showing them what love actually looks likes, and that experience might sustain them for years to come. Some families choose to adopt after hosting, but not all children are even available for adopting. It’s just a chance to shower a child in love, no strings attached. I love this blog post about all of the ways your family will be rocked (in a good way) by this hosting. Trust me, I want in on this, but I’m trying to take things one step at a time. Well, Daddy K is smartly and strongly suggesting that I take it one step at a time. 🙂 Check out New Horizons for Children, Project 143, or God’s Waiting Children for more information. I know, I know, adopting families are always asking for money. But the truth is, it takes a lot of money to facilitate international adoption. You can also just donate to organizations and/or grant foundations that support adoptive families. But again, go on to RR and read the stories of the families who are adopting. Find a family that you resonate with, are inspired by or just really needs help. Skip a week of coffee and add some change to their family account. There are a lot of awesome families out there that have the means to take care of these children once they get home, but don’t have 30k sitting in savings to make it happen. Or ask around – support a family you know, or a friend knows. Every little bit helps – and every time you support a family financially, you are partnering with them, joining their team, and you get to be part of the blessing. Make no mistake, how and where you spend your money matters. And I’m not even close to radically rehauling the way our family spends ours, but I’m working on it. And it’s worth learning about, and making tangible changes in order to use your purchasing power in a way that matters. Luckily, there are a lot of resources out there. There is a great blog called Fair Trade Fashionistas that gives ideas for where to shop, reviews items and companies, and tells stories. It’s awesome!! There are also a number of companies out there in the business of empowering women and families in their own communities. It isn’t a savior mentality – they are learning skills and creating products worthy of taking a look at. If you haven’t heard of Noonday yet, jump on over to their site and check them out. Please! Noonday believes in creating economic opportunity for the vulnerable by giving them dignified jobs at living wages, no interest loans, long-term trade, scholarships, emergency assistance and more. All YOU have to do is shop. YOU create a marketplace for their artisans so they can earn more while working less and keep their families together. And seriously – their stuff is BEAUTIFUL. It’s a no-brainer. 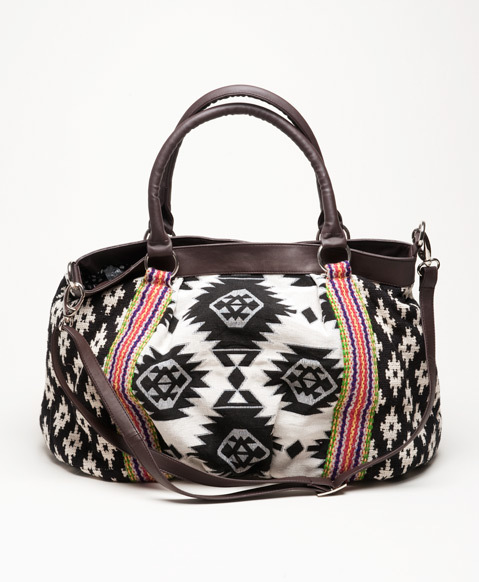 This is the gorgeous Kismet Day Bag, made with love in India. In India, women are often discouraged from working outside the home, and people with special needs are frequently stigmatized and denied jobs. When a was in college, I was part of Campus Crusade, and it was the first time anyone had ever told me about Jesus. I was fresh-faced and hard to convince, and my sweet mentor Lisa spend many mornings pouring over the Bible with me, helping me see connections and answering any questions I had. I will forever be grateful. Lisa never lost her heart for encouraging others, and she created Mavuno Market to empower artisans, embrace orphans, and encourage discipleship. Their plan is simple: they purchase goods, export them, and sell them — the more products that are sold, the more jobs created. 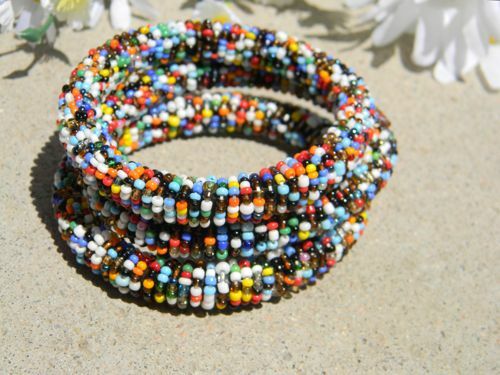 Check out this gorgeous Tazmanian Beaded Bracelet. Each bracelet is handmade by single mothers in Tanzania. Gertrude has created a micro enterprise training ten other women in bead work. This gives them a stable income and a way to provide for their families with dignity. Okay, friends, let’s not forget our feet. Two companies I can personally vouch for are The Root Collective and Sseko. I have a blue pair of kicks from both companies, and they are equally amazing. The Root Collective believes that commerce is a big part of the solution to the issues of poverty, and 10% of each purchase is donated back to one of their nonprofit partners working in the same communities that their artisans live. They partner with NGOs that are concentrated on programs with the goal of independence for communities. They also believing in controlling costs, keeping their mark-ups low and their shoes beautiful. Yummy! 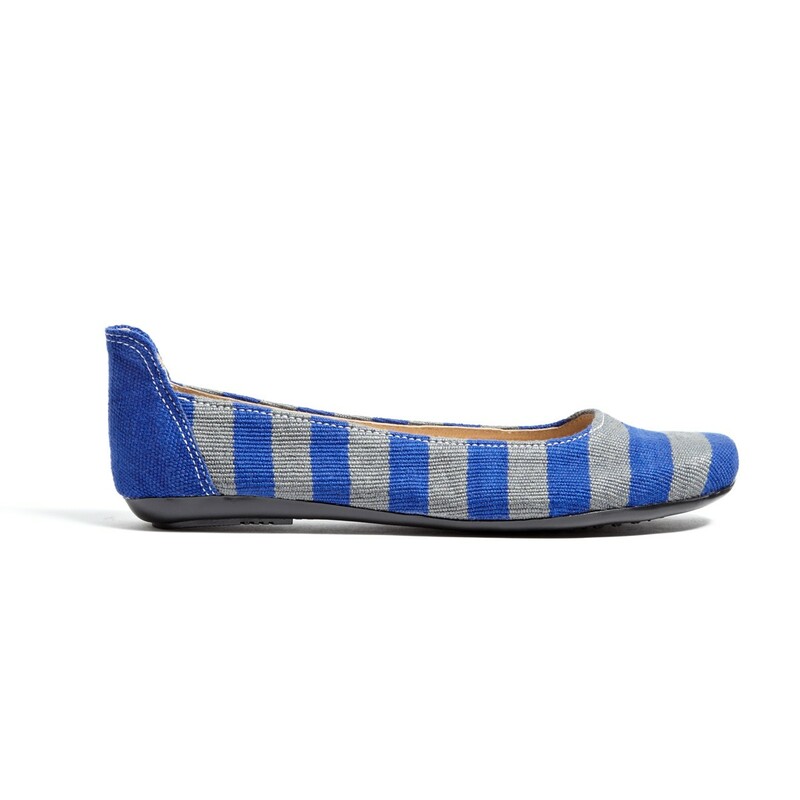 These blue striped ballet flats are handcrafted by a man lovingly known in the slum of La Limonada in Guatemala City as “Don Otto” (roughly translated “Mr. Otto”). Each one of his shoes is crafted with not only skill, but a tremendous amount of love. His vision is to transform his community through honest jobs and relationships. Sseko began as a way to generate income for high potential, talented young women to continue on to university. It’s working — every woman who has graduated from Sseko is currently pursuing her college degree or has graduated from university and is on her way to making our world a more beautiful place. Sseko’s ribbon tie sandals have interchangeable straps that can be styled in hundreds of ways. This pair is showcasing red/navy ribbons, but there are TONS of choices. Finally, I also discovered a company called Sevenly. 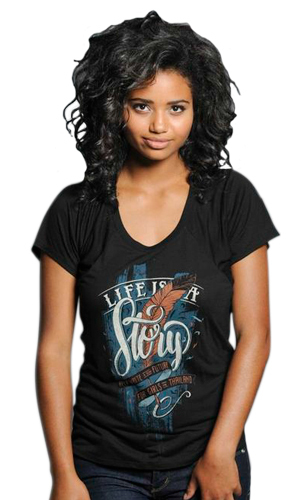 Sevenly uses the catchphrase, Shirts for a Cause, and their goal was to inspire a generation to generosity. They team up with a charity for one week (7 days) to raise funds and awareness. For each purchase made that week, $7 goes directly to the partner charity. Although it’s not always an orphan charity, it’s always worthwhile. We own a handful of Sevenly shirts in our house, all of which get a lot of wear! This is a shirt they did for Destiny Rescue. an internationally recognized non-profit organization dedicated to rescuing children from human trafficking and sexual exploitation. Listen friends, we are already spending money on these types of products all the time. Why not take a little extra time to find a way to make our economic consumption count? And truthfully, you aren’t sacrificing in product quality. This stuff is one of a kind, for more than one reason. Shop smart. There are a bazillion organizations out there working to combat this issue. A quick Google search will provide you with options. But find an organization that you can believe in, that you feel shares your heart and values and vision, and partner with them. 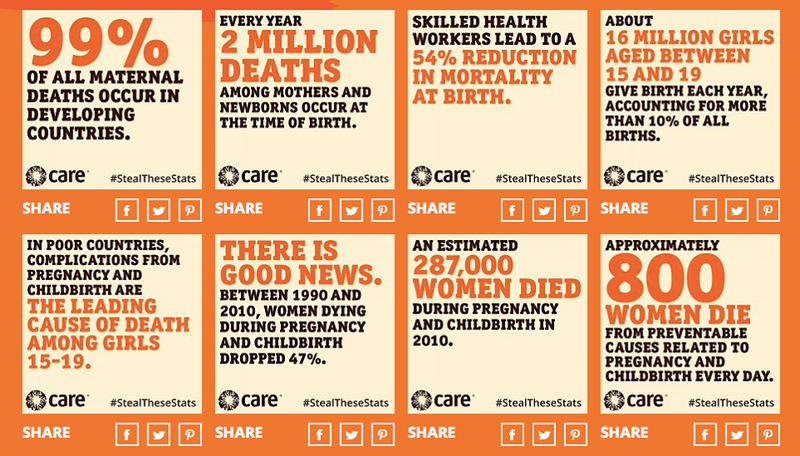 Don’t just read about them – become a part of it. You can obviously start by partnering financially, but maybe over time you’ll find other ways to be involved and use your gifts, creativity, and talent to make a difference. A friend of mine started a non-profit called Somebody’s Mama, and they just finished raising funds to build a maternity ward. Their purpose is to simply bring awareness to issues affecting women across the globe. I really believe that if we empower mamas and empower families, less children will end up as “orphans” in the first place. Somebody’s Mama just raised more than $10,000 dollars to build a maternity ward in Sierre Leone, serving women who would otherwise not have pre- or post-natal care, saving the lives of thousands of mamas and babies for years to come. 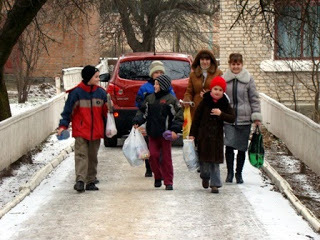 Another organization I just learned about is called Bible Oprhan Ministry, and it was started in Ukraine by a woman who herself grew up in an orphanage. They provide support to mamas who need it, doing their best to keep them from turning children over to baby houses. But they also provide tangibly for the needs of the children in the orphanages, from food to diapers to medicine. They would love, and desperately need, support. Alla’s team was able to visit orphans who are confined to a hospital, and upon arrival learned a few of the kids were escaping. On this day, a few of the children were discharged, and ecstatic to be going “home,” to the orphanage where they have spent their entire life. Another friend of mine participates in a charity athlete program called Team 25:40. Their mission is to channel the attention and resources of those blessed with much toward saving children in southern Africa from the devastating impacts of poverty and AIDS. He is participating by completing 5 major endurance races in 2014-2015 for 25:40’s orphans. These are just three of many, and of course you could partner with any of the organizations mentioned in the shopping section. But the point is to find something, anything, that inspires and motivates you, and join the team. Simply tell people about these kids. Often times when I explain to people what happens to abandoned children with special needs in other countries, they had no idea. And if no one knows what is happening, nothing can be done about it. All you have to do is talk about it – you can start with talking about this crazy family you know (us) and go from there. You never know how the information will trickle down, and some random conversation you have might lead to another family choosing to adopt 5 years from now. Take some time to watch the documentary STUCK (it’s currently on Netflix) and learn a little more about the international adoption process and some common issues. The U.S. decided long ago that orphanage settings weren’t optimal for children, which is why our country relies on foster care. But if no qualified, loving, willing families are involved, the system falls apart. You can watch the short film below, ReMoved, for a little more insight on what life might feel like for a foster child. Another option is finding out how to become a respite family for foster families. Sometimes these families just need a night out or a weekend to themselves. Look into your state requirements for becoming a family that offers very short-term care to ease the load for other families. Something else I have noticed starting to increase are organizations that offer “temporary” homes for children, and support to their families, to actually keep children from entering the foster care system. The one I am most familiar with is called Safe Families for Children, and they exist to provide parents in need with mentoring relationships and tangible support in times of crisis. But ask around in your community and see if something similar exists. It’s not as crazy as you think. It’s not as impossible as you think. It probably IS as hard as you think, but I’ll keep you updated on that 🙂 But seriously, start praying about it. At least be open to the possibility that God may ask you to open up your heart to adoption. Being open and willing to listen is always the first step! And that’s all I got. 🙂 As always, thanks for reading, thanks for caring, and thanks for committing to making a difference.